A recent United States court case which found Roundup caused cancer has prompted Kiwi honey producers to test their honey to make sure it has no traces of chemicals. Canterbury company Midlands Apiaries has launched a new range of mānuka honey and is marketing it as glyphosate-free. Glyphosate is the key ingredient in a number of weedkillers, the best known of which is Roundup. A US jury has found the product caused cancer in a terminally ill groundskeeper, awarding him $440 million. Midlands international brand manager Adam Boot said the test was especially important for its global market, where there was a heightened concern over chemicals in foods. Midlands sends samples from every batch to an independent, accredited laboratory, which not only tests it for traces of glyphosate, but also makes sure it passes the Ministry for Primary Industries' (MPI) test for whether it is genuine. Companies are now routinely testing to make sure there are no chemical residues in honey. So far no batches have shown residues of the chemical. Besides offering an assurance that the honey is free of the chemical, the test should be an additional proof it is genuine mānuka honey. 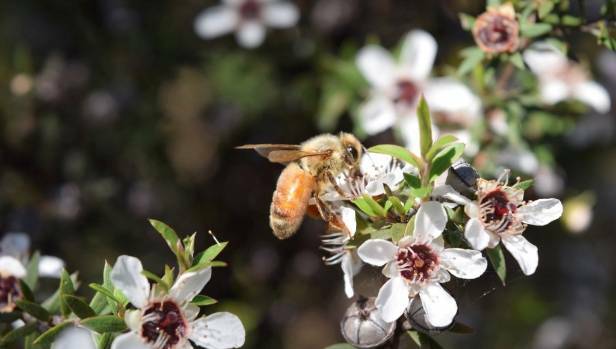 Last year a global study found traces of neonicotinoid insecticides in mānuka honey. Because the honey is harvested in the wild where chemicals are not used, it should not be tainted. That would include by glyphosate. About 25 manufacturing companies produce glyphosate-based products under 89 trade names. The range of Midlands Apiaries mānuka honeys being marketed under the Puriti brand. The herbicide is used extensively on farms, gardens, streets, and parks. It is routinely sprayed in paddocks to get rid of weeds before planting. The suspicion has been mānuka is blended with other honeys, such as clover. Seeds of clover are coated with neonicotinoids before planting and bees feeding on flowers ingest the chemicals. Competitor Mānuka Health said it also carried out its own routine testing for a range of chemicals including glyphosate, but had not made a marketing point of it. "Testing for chemicals is a hot topic globally and offers New Zealand a unique opportunity to stand out. It's part of the credibility of our product," Mānuka Health general manager, marketing and research & development Kate Kember, said. New Zealand's largest mānuka honey producer Comvita said it also tested for chemicals, using its own in-house laboratory. Apiculture New Zealand chief executive Karin Kos said MPI carried out its own chemical residue monitoring programme but it was not likely to be as thorough. "It's all about giving the consumer additional assurance. This is what the good companies are doing, they're thinking about what the risks are to their businesses overseas, what are the consumers saying, and they're being pro-active." A bee collects nectar from a mānuka flower. Because mānuka grows in the wild, it should not be tainted with chemicals. Boot said honey can be tested several times before reaching the consumer. The Ashburton-based company demands beekeepers test it for whether it is the real thing before it reaches them, and it is re-checked later. Companies have to use MPI's test, which is made up of a combination of four chemical markers derived from nectar and one DNA marker from mānuka pollen. The combination of markers separates mānuka honey from other types of honey and identifies honey as either monofloral or multifloral mānuka honey. For large processors, the costs of testing can be "hundreds of thousands" of dollars. Midlands is one of the largest honey companies in the country, but has never produced its own branded honey. That is about to change when it launches a mānuka honey called Puriti in the next few weeks. 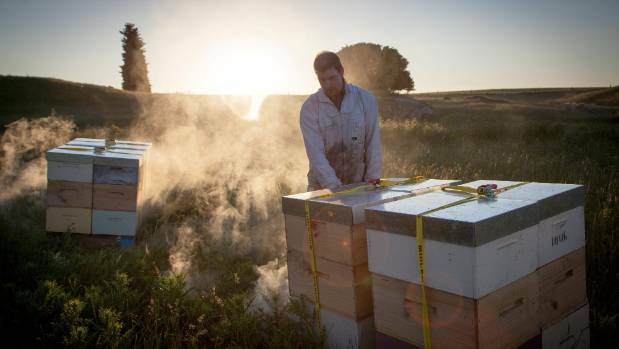 A beekeeper prepares to place hives into a remote location so bees can harvest mānuka. Traditionally, the company has sourced, processed and packaged honey for other companies who put their own labels on it. Boot would not reveal their names. 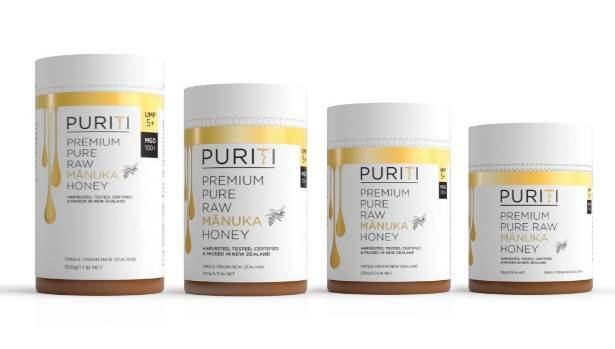 "Concerned by loopholes in testing standards that some in the industry take advantage of, Puriti has implemented testing standards at a level 10-100 per cent higher than the mandatory export standard for all of its mānuka honey," Boot said. It has also spent about $500,000 on a new system of packaging to stop the counterfeiting rife in the industry. Unscrupulous operators overseas have been known to replicate packaging and labelling, put non-mānuka honey in the jar but pass it off as genuine. Midlands mānuka honey comes in a jar with a lid that features a thick anti-tamper seal. The jar and lid have the same diameter to allow a smooth fit and it also features a tear strip for additional consumer security. Other hi-tech features include soft-touch laminate for the label paper, and a design infused with invisible ink that is visible only under black light. Each jar is laser etched with a reference or word unique to every production batch. Kos said at ApiNZ's recent conference a number of exhibitors were promoting tamper-proof jars. "Those sorts of things are top of mind with companies and consumers, there's definitely innovation there to ask what can we do better." Boot would not reveal the asking price of the mānuka honey but said it would be cheaper than its chief competitors Comvita and Mānuka Health.